On Friday I was notified that an image I took in London last year was commended in the Landscape Photographer of the Year 2017. Said image will be in the forthcoming exhibition as well as the printed book. The competition is one that causes much controversy each year due not just to the overall winner but also those images that get rejected. It can be a guaranteed event to see it all fought out over social media platforms as to who should have won; what should have been shortlisted and lord knows what else. 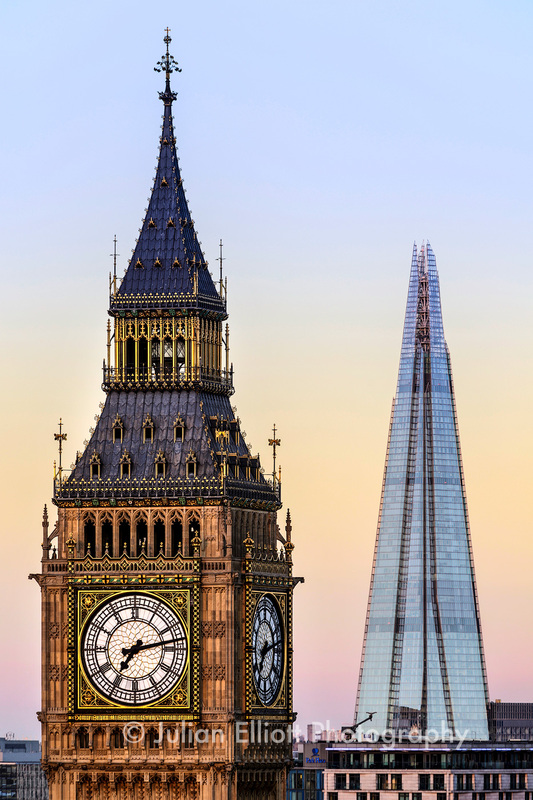 The image itself is of the Elizabeth Tower and the Shard. But the two have been brought together by a long lens which compresses the perspective on these two very British icons. Without the long lens the image wouldn’t be the same. It’s not something that can be done closer than it is as you would be floating in mid-air. A number of people have asked where the image is taken and all I’m going to say is London! The reason behind this is that so many are out to copy compositions etc that I want to keep this one just that little bit special and reserved for those in the know. In this day and age where everyone is a photographer and we are inundated each day with imagery via Facebook; Instagram and Twitter some things have to be preserved and not let out to the masses. This was never more evident to me than when I went to Provence earlier this year and seeing about 40 people lined up in a field of lavender. So enjoy this image of two icons. One old and one new. Enjoy that is a fresh take on an old subject. The exhibition of the Landscape Photographer of the Year 2017 will be at London Waterloo station from 20 November 2017.